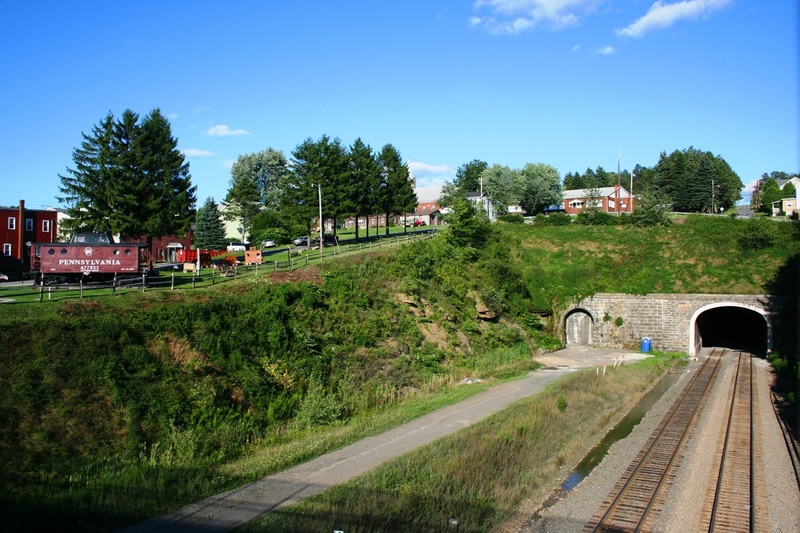 Located on the west portal of the Gallitzin Tunnel, Tunnel Park offers a great place to watch a train exiting or entering the tunnel. The park is located on the elevated north side of the double track main. Visitors can achive wonderful pictures from the Jackson Street bridge which is located next to the park. The only down fall with Gallitzin, is the mainline is split through the town. From the Gallitzin Tunnel Park, only two of the three main tracks can be viewed from the park. The third track is down the street, and runs through Portage Tunnel. Railroad(s): Norfolk Southern / Amtrak (former Conrail / Penn Central / Pennsylvania RR). Rail Traffic: Around 45 trains per 24-hours at this location. Site Details: The park is located on the elevated north side of the double track main, view looks down the hills to the railroad and the tunnel. Visitors can walk onto the Jackson Street bridge to achieve a different angle for photographing the passing trains. The park also includes a Pennsylvania RR N5c caboose, which is also a visitors center staffed several days a week by volunteers during summer months. There is a small mining / RR museum in the borough hall across from the park. Restrooms on site: Yes, clean restrooms are in the Borough Hall across from the Park. Parking: Street parking (no charge). Motels / Hotels: The Station Inn in Cresson is not far. 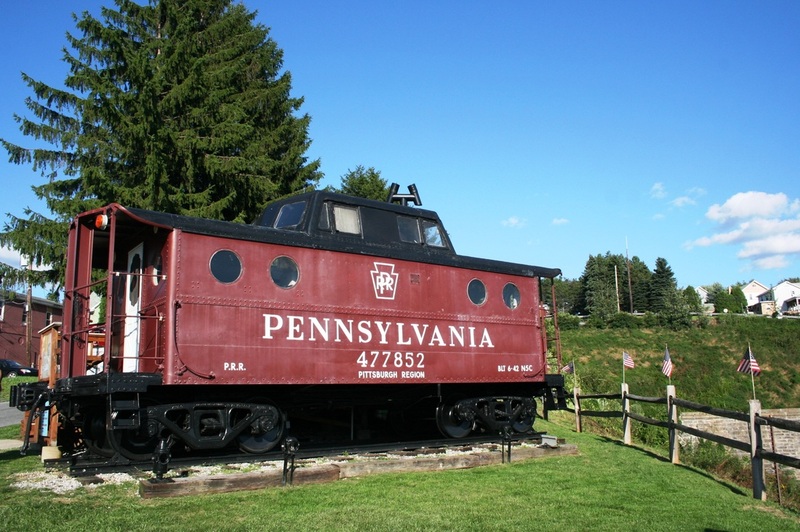 Other (non-railfan) motels are located in Altoona, PA and Ebensburg, PA.